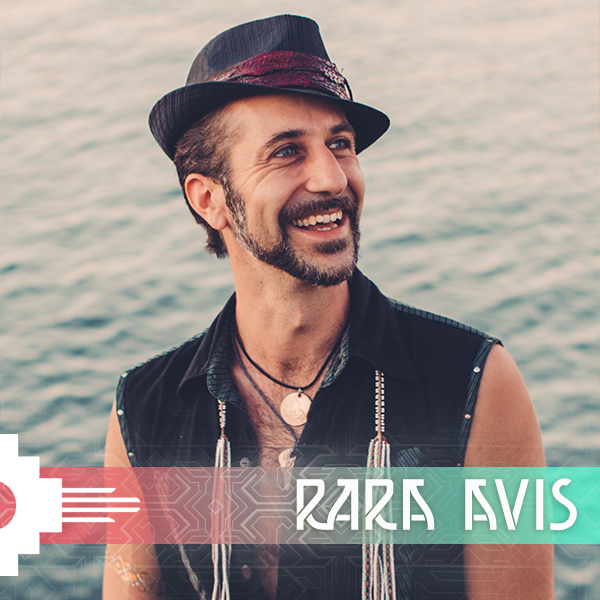 Known in the music world as Rara Avis (n. latin for Rare Bird), Alex is a dedicated master of his craft with over 20 years experience in live performance and music production with a core focus on where the electronic underground, yoga and ecstatic dance movements collide. He is also CEO and Co-Founder of YogiTunes.com, a world wide streaming and download service that focuses on delivering top quality sound tracks for yoga and other wellness activities. He has been in long time collaboration with Craig Kohland and Amani Friend on the Shamans Dream and Desert Dwellers/Liquid Bloom projects respectively. Together they created one of the most widely used contemporary yoga music libraries ever. Rara is also CEO and Founder of Yogi Tunes, an world wide online music service that provides top quality DJ driven soundtracks for yoga and other wellness activities.